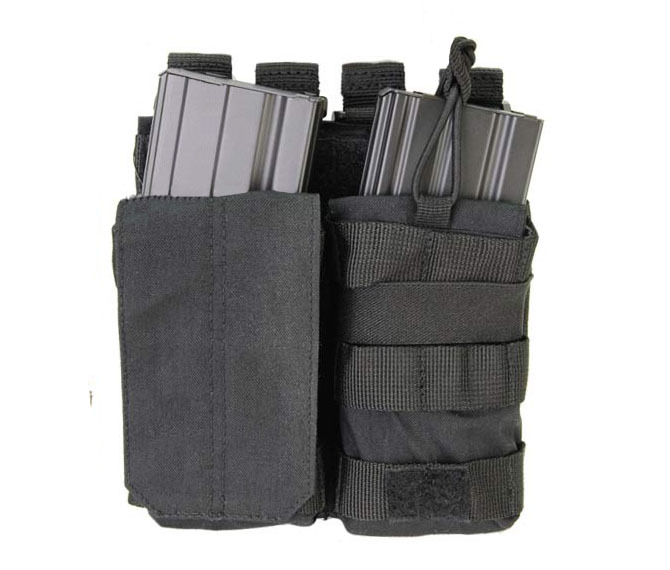 Double Bungee Cover Pouch offers enhanced storage space and quick accessibility for two 5.56 magazines. Standard flap and bungee cover options included, and featuring full compatibility MOLLE web platforms, this lightweight, Integrated elastic straps for silent operation. 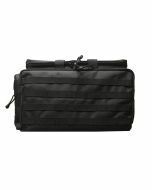 Includes standard flap cover and bungee retention • MOLLE at rear • Elastic compression for stable and silent operation.